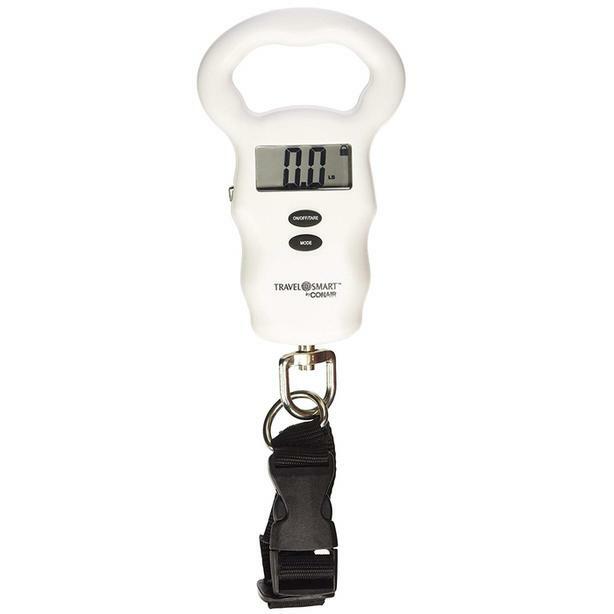 This digital luggage scale beeps to indicate whether your gear is over or under limit, displaying the weight in kilograms or pounds. You can also use the built-in tape measure to ensure your bags meet all size requirements. It's the only scale that uses peak mode, locking in on the highest reading within .2 seconds. The large LCD display continues to show the reading even after the luggage is put down.